New Old Stock - Never Worn - Perfect Condition, all markings on inner temples intact. 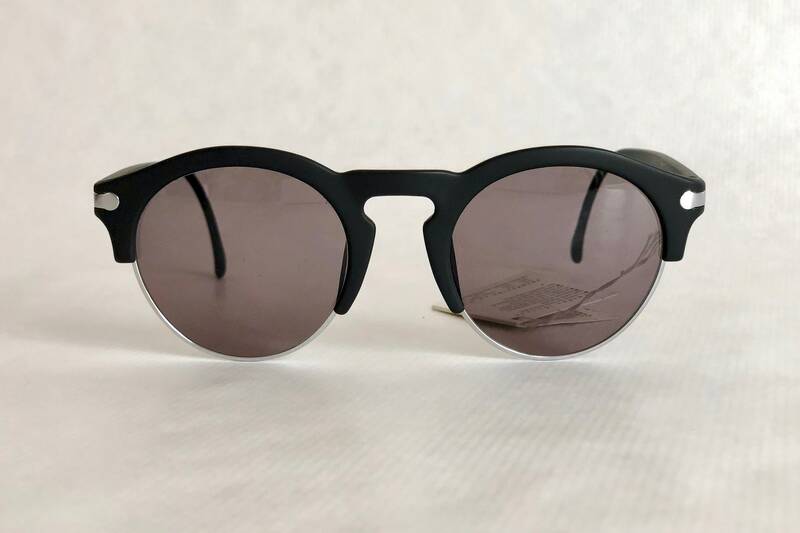 This matte black 5167 with silver details is an extremely rare sample that never went into production. The pre-production «Vormuster» sticker is still attached on the inner temple. Including Hugo Boss hardcase, tag and cleaning cloth. 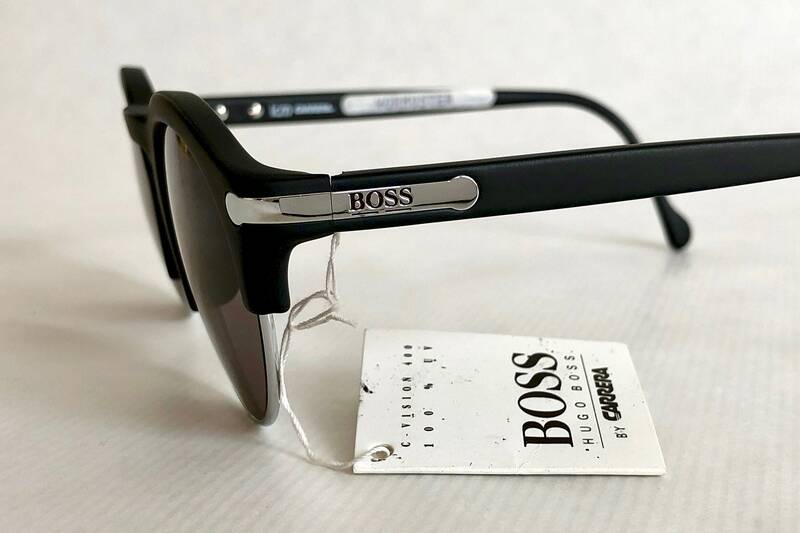 The unisex 5167 from Hugo Boss by Carrera is a bold frame combining panto and clubmaster elements. 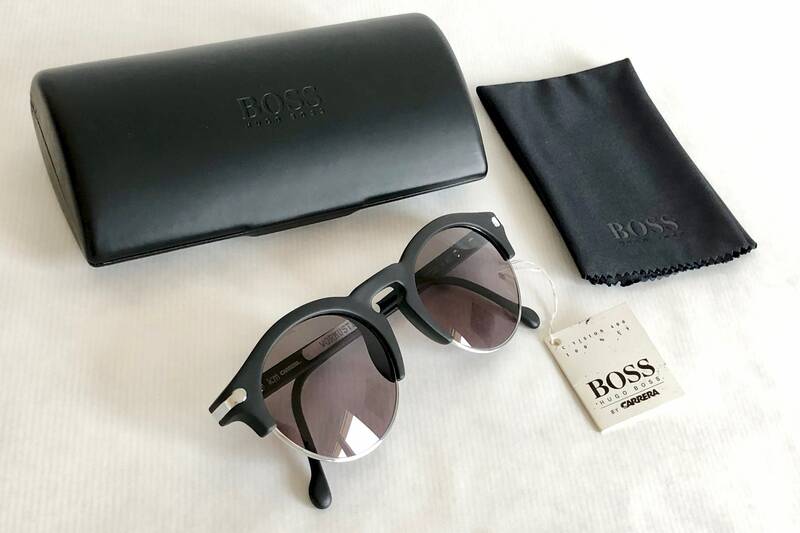 Matte black Optyl with silver eyerings and signature Boss temples. Very comfortable, a classic that stands the test of time and fits almost every face. 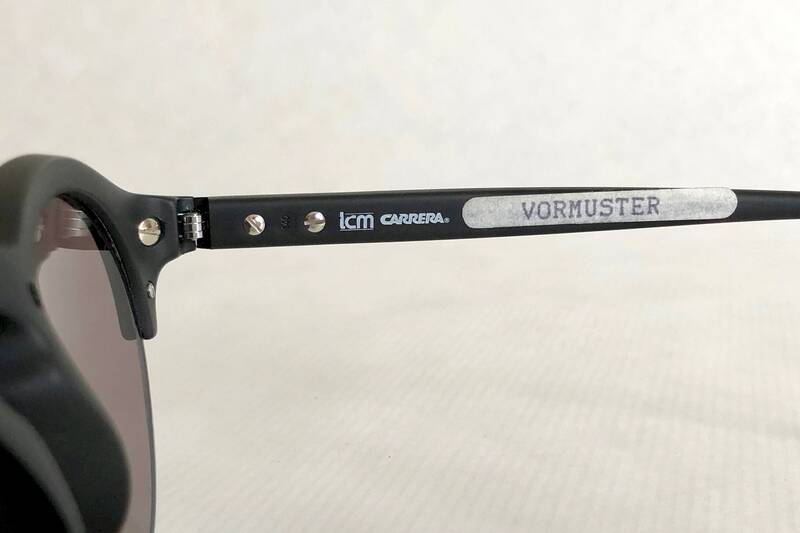 Manufactured by Wilhelm Anger's Optyl Carrera brand who also produced Porsche Design, Dunhill, Christian Dior, Paloma Picasso and many other fashion brand licenses at the time. 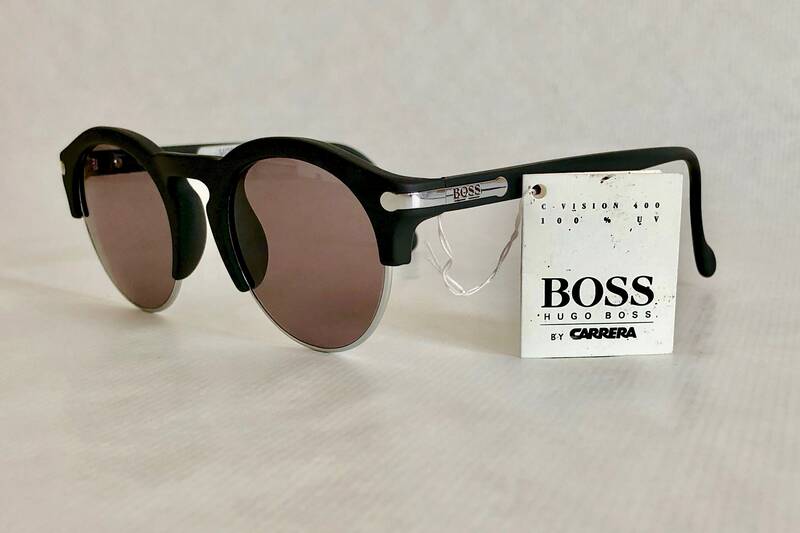 Along with Dunhill, Boss was the top line of the Optyl Carrera Empire, and the quality of the manufacturing made them become very sought after and timeless frames. 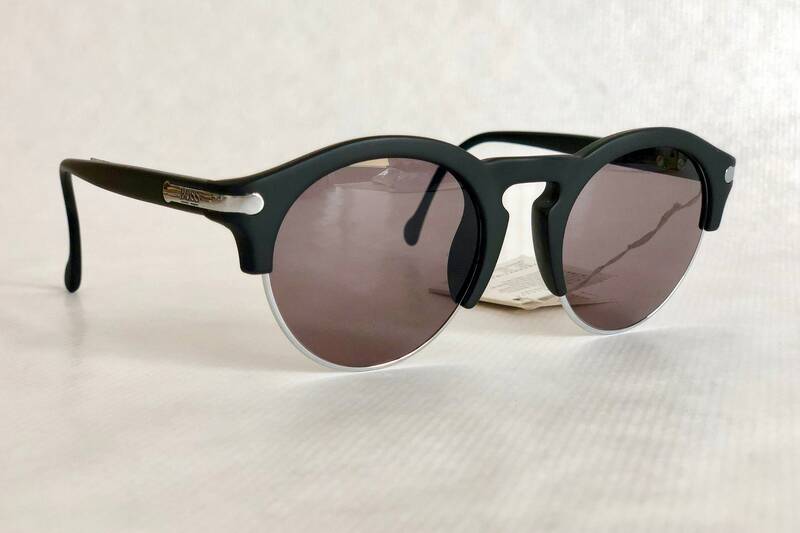 Lenses: Original dark grey with 100% UV400 protection.